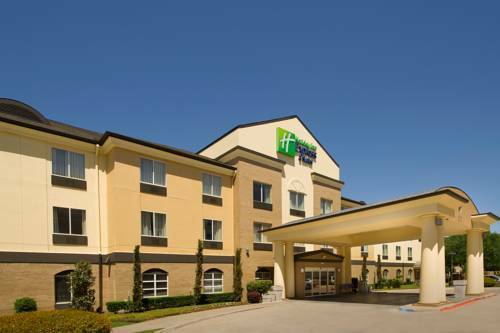 Convenient DFW Airport Hotel in Grapevine with Free Shuttle The team at Holiday Inn Express & Suites DFW Airport-Grapevine hotel looks forward to making your visit memorable and stress free. Our hotel is great for corporate and leisure travelers due to the easy access of the Dallas/Fort Worth International Airport, accompanied by complimentary shuttle services that runs from 5am -1am daily. Centrally located between Dallas and Fort Worth, Grapevine is the perfect place to stay when your trip requires work in both areas. Complimentary Wi-Fi and a 24-hour Business Center that offers free fax, print and copy services can keep you productive while away from the office. Our Grapevine hotel is near outstanding stores at Grapevine Mills and delicious dining in historic downtown Grapevine. From wine tastings at eight of the different wineries in the area and sports fans enjoying AT&T Stadium, leisure travelers never have a shortage of local attractions. Once you're ready to relax, our DFW Airport hotel offers an outdoor pool, whirlpool and children's pool, as well as a Fitness Center with state-of-the-art equipment, along with our suite shop with drinks, snacks, & items for your convenience. Flip's Patio Grill: All American Food. Sonoma Meeting Room: Meeting room is 650 sq. ft. and seats up to 45 people.